Before the real estate market crash of 2008, millions of Americans invested with the expectation that their property would escalate in market value and could eventually be sold for a profit. Reality Check. Four years later, while significant progress has been made in turning the seemingly fragile real estate industry around, we still have a long way to go. 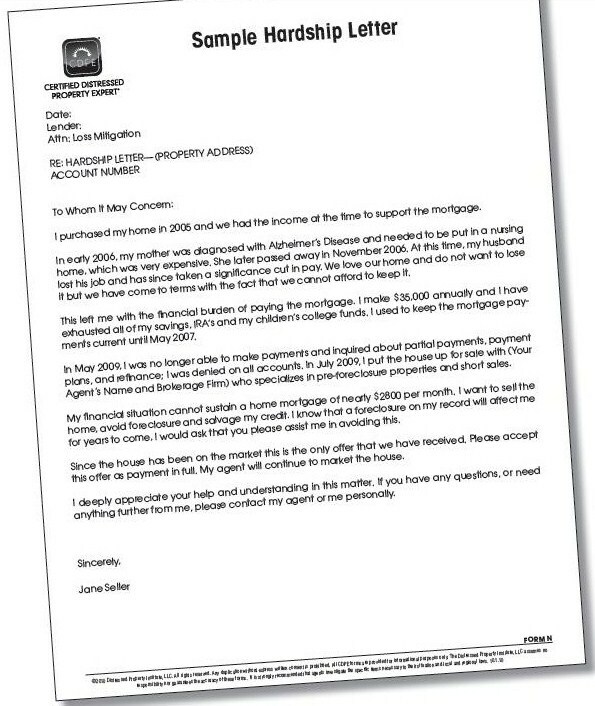 If you are currently upside down in your mortgage or other real estate investments, you are not alone. Thousands of metro Atlanta real estate owners are currently under water with their real estate and owe more than their home is actually worth. From a national perspective, more than 25% of home mortgages are going for less than what they were originally paid for. While this is great news for the buyers in this market, it makes for a really difficult situation for sellers. Coming out on top in this market as a seller requires even more strategy and thoughtful decision making than ever before. Waiting for the market to fully rebound sounds like a great idea in theory, but for some, life circumstances simply will not allow for that. Whether it is an expansion in the family, the need to move for a job or a change in your financial situation, the time to make a sound and solid decision about their current financial and real estate situation must come sooner rather than later. Paige Slyman has been guiding metro Atlantans with real estate questions and decisions for the better part of 20 years and is regularly sough after to help develop a plan to help his clients with their current real estate situation. If your home fits your family’s life, is affordable and you believe will continue to be a great place for you and your family, in general, and depending on circumstances, I would advise home owners that fall into the category to avoid making market-based decisions, regardless if the home is upside down or not. In plain English, we are saying stay put and enjoy the home you love and hope that the market continues to make strides in terms of guide and stability. On the other hand, thousands of families across the nation simply cannot stay in their current home, for a multitude of reasons. In these instances, it might make sense to divest and consider options of exiting the home, regardless of the market. Paige Slyman is an expert in guiding real estate owners in these situations and he can advise on current market trends, various financial options and comprehensive exiting strategies that will allow you and your family to leave the current situation financially sound. One option for those feeling “stuck” in their current home is property management, which Paige Slyman offers to his clients. Basically this option would allow you to exit your home, all while you still on the property and rent it out. This allows for the renter to help subsidize or even some instances fully cover your mortgage. With rental prices soaring in metro Atlanta this has become a very sought after and often times lucrative option for real estate owners. Contact Paige Slyman today to see if property management is a solution that you should further consider. In closing, while the market fights to leave its limbo phase and reach a greater level of stability, take an honest look at your current situation and determine if your home is a place that will continue to be a good fit for your family. If this is a home that you and your family can grow in and you feel comfortable with, consider avoiding market based decisions. However, if you need an exit strategy and want to minimize the risk of financial loss, contact Paige Slyman to get started with your customized real estate plan. In today’s volatile economy and seemingly unstable real estate market, thousands of homeowners are faced with the stark realization that they can no longer afford to keep their mortgage payments current. It is important for home owners that are faced with losing their home to become educated on options outside of foreclosure and bankruptcy. If you qualify, a short sell is the best option for an individual facing foreclosure. A short sell is when a lender agrees to accept less than the total amount that the home owner owes. For example, if you bought a home for 250,000 dollars and can no longer afford the mortgage payments, the lender may allow you to sell the home for 150,000 dollars and forgive you the 100,000 difference. The credit consequences of a short sale and foreclosure vary a great deal. In general, a short sale will show up on your credit report as a “settlement”, “settlement for less than owed” or a “pre-foreclosure in redemption.” None of these marks is a good thing to have on your credit report; however, it’s possible to have these marks removed from your credit report within a few years. A short sale can drop your credit score between 80-100 points. There is also the possibility that through negotiation with the lender you can avoid having the short sale reported to a credit agency. On the other hand, a foreclosure on your credit report can take 7-10 years to remove and can cost your credit rating (FICO) between 200-300 points which is an devastating to your credit score. If you are faced with losing your home, it is imperative that you pursue a short sale aggressively and avoid foreclosure. 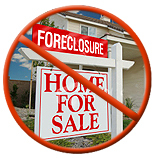 Why is a short sell a great option if you are facing foreclosure? While a short sale will damage your credit score, it does not wreck havoc on your credit score like a foreclosure will. A short sale’s impact on your credit score will only stay on your record for a few years, as opposed to 7 to 10 years with a foreclosure. One of the biggest benefits to a “short sell” is that the seller can continue to live in the property while not making payments until the property sells. If you short sale your home, you can qualify to purchase another home within a few years. This is not the case if you go into foreclosure. Paige Slyman has extensive experience in guiding sellers in the short sale process. He is an industry leader in terms of knowledge in real estate legal and accounting trends regarding short sales. His real estate know how allows him to guide his clients through the short sale process and ensure that sale goes smoothly. Clients can be assured that all while working with Paige, they are protected as much as they can be under current real estate laws and accounting regulations. Creditors are required to file a Form 1099-C whenever it forgives or cancels a loan balance greater than $600, under federal law. This could possibly create a tax liability for a person doing a short sale because the canceled debt is considered “income” for tax purposes. However, sellers completing a short sale will be pleased to know that “The Mortgage Forgiveness Debt Relief Act of 2007” provides tax relief for some mortgage loans forgiven in 2007 through 2012. The act allows home owners going through a short sale to exclude income from the discharge of debt on their principal residence. The amount of debt forgiven must be reported on Form 982 and this form must be attached to the seller’s tax return. In closing, if you are faced with losing your home, it is crucial that you research all of your options and contact an experienced and knowledgeable REALTOR®. Paige Slyman is an expert in assisting clients with minimizing the financial impact of losing a home and giving his clients the tools to rebuild their lives. Saving money is always a big plus, right? Right. It doesn’t matter who you are, saving money is always great! Here is some great info on mortgage debt forgiveness, which may save you a bundle! If your mortgage debt was/will be partly or entirely forgiven during tax years 2007 through 2012, you may be able to claim special tax relief and exclude the debt forgiven from your income. If you are facing what seems to be an imminent foreclosure in the following months, you should call Paige Slyman today at (770)-757-7671. He specializes in short sales, which is exactly what we’re talking about. He can, and will help you escape from foreclosure. This week we will describe who may qualify for a short sale as well as the benefits of said short sale for the homeowner as well as the lender. There are many other reasonable hardships, these are only a few of the most common issues. Now that you know what may qualify you for a short sale, you should know the benefits to you, as well as your lender. This will help you understand why the lenders are much happier with this option versus having to foreclose on your home. • Lender avoids foreclosures fees, etc. Hopefully this has helped you decide to try for a short sale as it is deifinitely the best option when facing foreclosure, for the homeowner and the lenders. For other bits of information related to real estate, like us on Facebook, follow us on Twitter, and connect with us on LinkedIn. What needs to be done to complete a short sale? What documents do you need to gather to get this done? If you are facing what seems to be an imminent foreclosure in the following weeks, you should call Paige Slyman today at (770)-757-7671. He specializes in short sales, which is exactly what we’re talking about. He can, and will help you escape from foreclosure. For other bits of information, like us on Facebook, follow us on Twitter, and connect with us on LinkedIn. 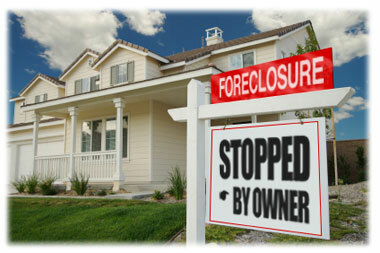 Facing foreclosure? Don’t be ashamed; we are here to help. Today in America 1 out of every 6 homeowners are behind on their mortgage payments. The economy is rough and managing money is no easy task. That being said, it is very important that you know exactly what your options are. The foreclosure that seems so imminent can be avoided, and your credit can end up much better off! The next number of blogs will be featuring a series of posts that go much deeper into this subject. They will explain what will help you avoid foreclosure. This series will sum up what exactly they are, what requirements need to be met in order to escape a foreclosure this way, as well as elaborate on how a short sale can help you. What is a short sale? Well, in short, a short sale is when the lender, or lenders, you owe agree to accept less than what is owed by the homeowner. In most cases, the difference is forgiven by the lender, and in others the homeowner must be able to make arrangements with the lender to settle the remainder of the debt.